Much improved lighter performance exhaust for the Yamaha Vino 125. Ncy Performance Exhaust for the Yamaha Vino 125 Scooter. Although not as many of this model scooter out there consumers do love their Retro Style scooters. Which is what drew me to scooters anyway. If its sporty I race it. The new style getting away from the Chrome Boomers of the bright shiney exhaust, th eblack design seems to more appealing in looks and sound. Not as booming as many performance exhaust are today. 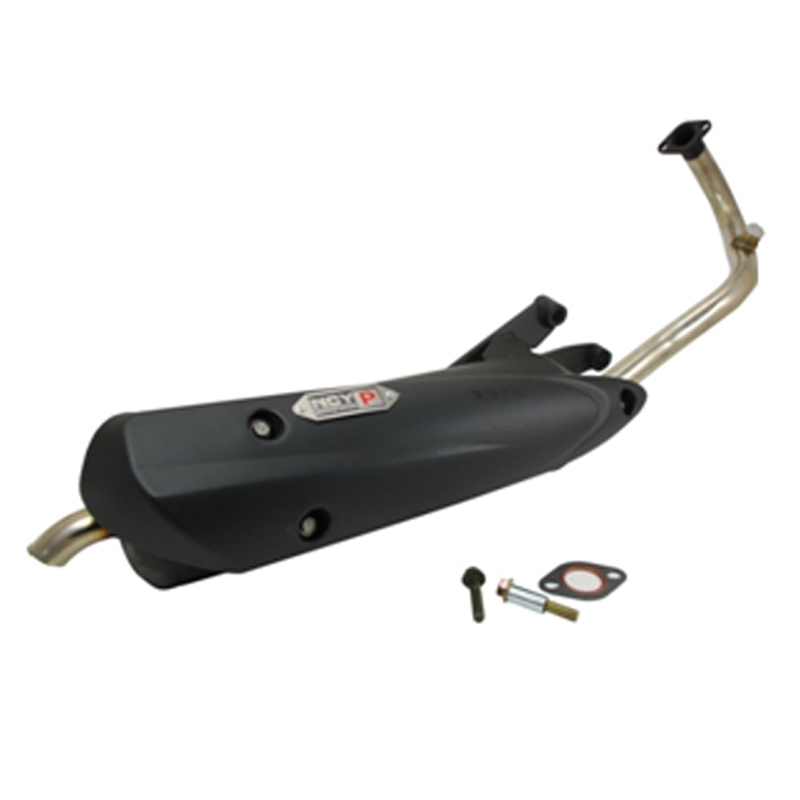 The NCY Performance Exhaust for the Vino 125 will open up the air and fuel flow for overall performance. More bottom end with added top end with getting rid of excess weight of a stock exhaust. An air and fuel kit is suggested and offered here in several kits. Please call or email for any questions or special kit just for you.